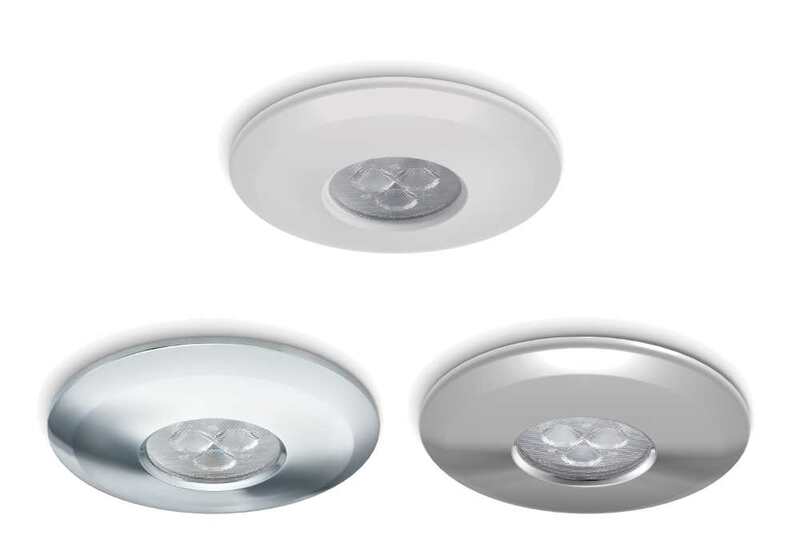 Interchangeable retrofit LED module provides a new fascia to existing JCC Fireguard downlights. The Hybrid Overbezel allows you to fit a new LED module into an existing JCC Fireguard twist and lock can. The bezel has been specifically designed to discreetly cover the existing fixed bezel attached to the can. This provides a full new front fascia for older fittings while still maintaining the look of an integrated LED downlight.